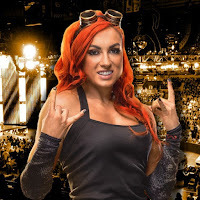 Becky Lynch recently spoke with The Orlando Sentinel to promote Sunday's "Winner Takes All" WrestleMania 35 main event. Becky revealed her reaction to being told their match would be the main event of the biggest show of the year, and said she got emotional. "I just felt waves of gratitude and relief," Lynch said. "We really did it. We got the main event. There were tears, lots of tears just streaming down my face. Everything I worked my entire life for was coming to fruition." It was noted that Lynch's journey to the WrestleMania main event actually began back in 2014 when she made her WWE NXT TV debut. She danced to an Irish jig to play up her roots, a complete 180 from her current character. When asked about the debut, Becky then realized that this was her comeback story. "Oh my God. There is your comeback story. There's the message," she said. "If I can debut that way and get to the main event of WrestleMania, anything is possible, for anybody." Lynch said she will never be satisfied, despite how proud of her accomplishments she is. The Man said she will always carry a chip on her shoulder and that's why she will never be satisfied. "I think frustration is a wonderful thing, a fantastic tool, if you use it properly," Lynch said. "If you get frustrated and just b---h and moan, forget about it. But I love proving people wrong, so I use that frustration as rocket fuel."